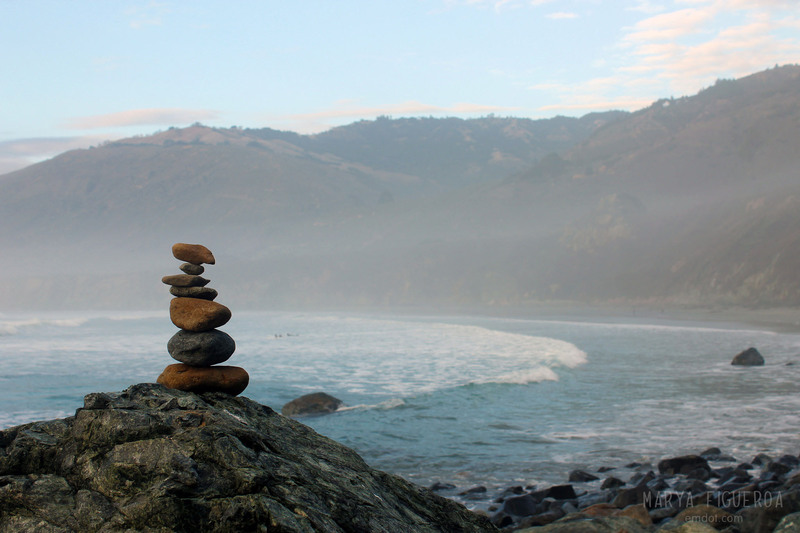 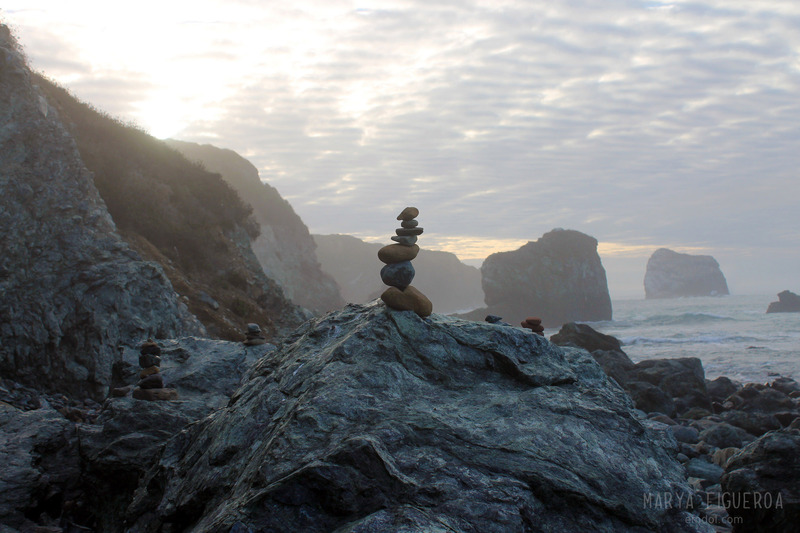 One of the surprising things from my beach and Big Sur adventures were the number of rock stacks we came upon. 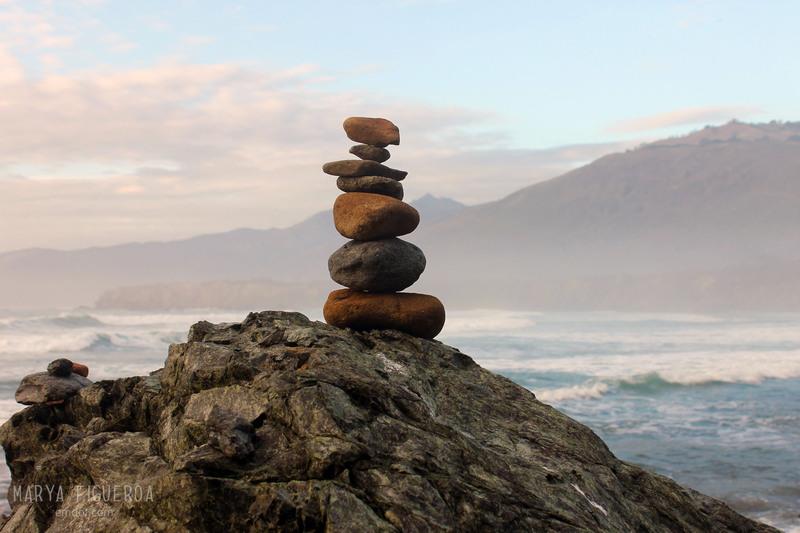 So many of the beaches I went to were rocky and so many of them had cairns. 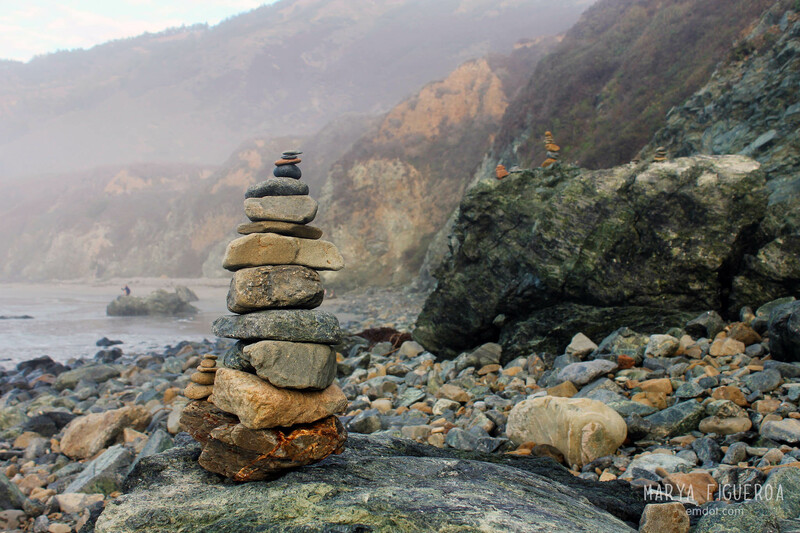 Even when Steve and I were the only ones in sight, the only ones on the trail, the only ones upon the beach, we’d still often come across a cairn or three (or twenty). 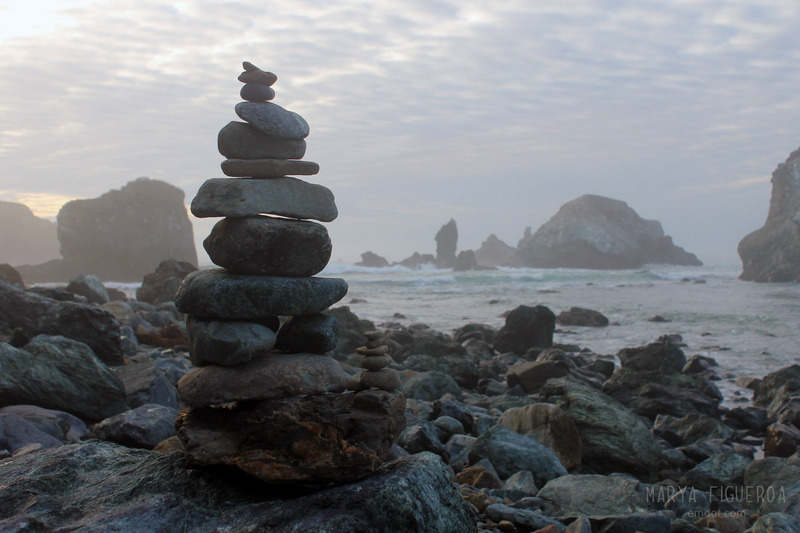 Sand Dollar was no exception. 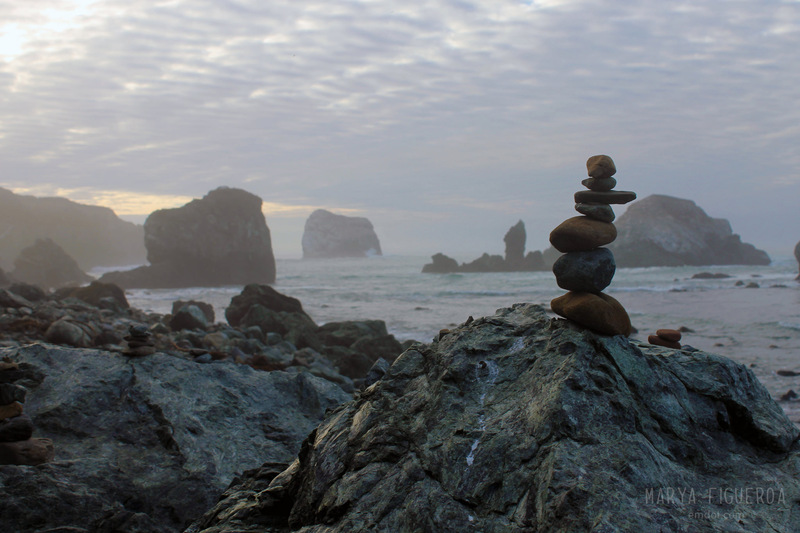 I especially loved the echo of the sea stacks in the rock stacks. 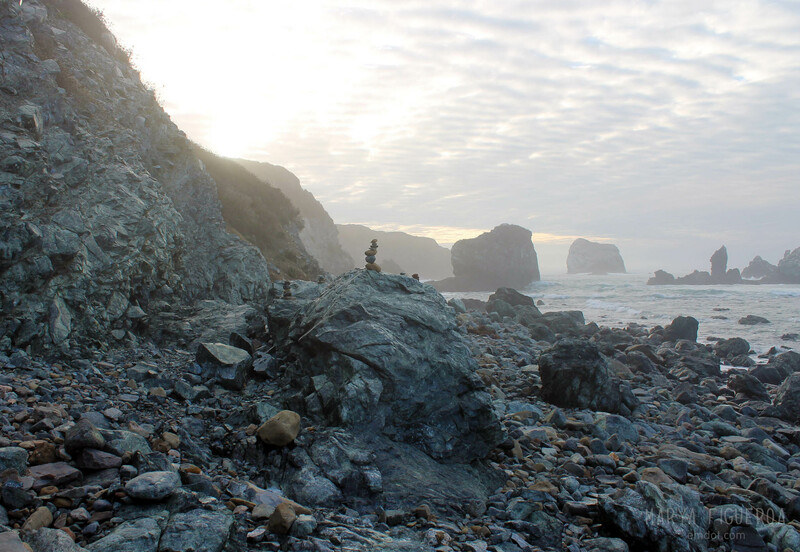 Sentinels on shore, sentinels at sea.